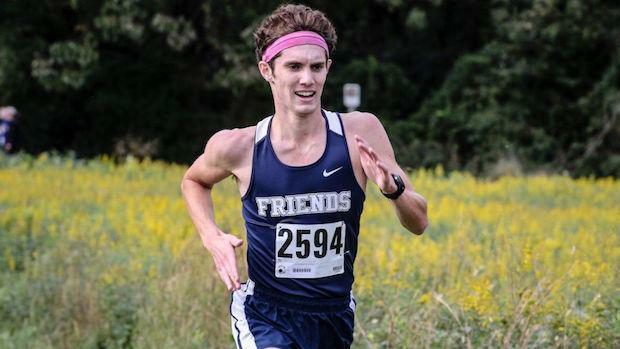 In one of the fastest high school cross country races ever on Delaware soil, state record holder Connor Nisbet of Wilmington Friends led a total of 7 in-state runners well under 16 minutes at the Joe O'Neill Invitational on Friday at Bellevue State Park. Nisbet, who broke the Delaware state 5K record two weeks ago at Great American with a 15:05 performance, was only a few seconds off that performance with a meet record time of 15:09 at Joe O'Neill Invite. Nisbet had to keep the pace fast as not too far behind him was the Salesianum School duo of Michael Keehan (2nd, 15:17) and Sean Banko (3rd, 15:18), which has the be the state's fastest tandem performance ever by two runners from the same school. The Salesianum School boys (44 pts) were convincing team winners by 29 points over Tatnall (63 pts). Salesianum had the advantage over Tatall at every runner position except for the #4 spot averaging 16:05 among their top 5 finishers. Tatnall was led by sub 16 minute performers Nicholas Garrett (5th, 15:39) and Brendan Balthis (7th, 15:44). 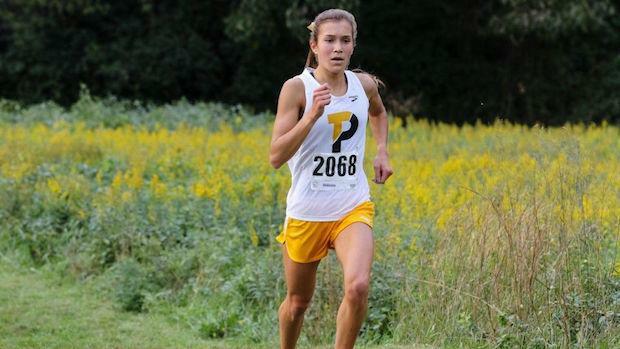 Padua Academy senior Elizabeth Bader has made a steady progression in improvement thru her 4 years of high school and no better example than her time drop from the 2017 to 2018 Joe O'Neill Invitational. After finishing 3rd in last year's race with a time of 18:29, Bader dropped a whopping 47 seconds to win this year's meet in a personal best 5K time of 17:42. Bader was able to separate and win by a margin of 29 seconds over past state champion and Wake Forest commit Keelin Hays of Tatnall in second place with a time of 18:11. Bader had finished 4th in the Eastern States championship race at Manhattan the prior weekend with a 14:55 run on the 2.5 mile course at Van Cortlandt Park in New York. The Padua Academy girls were runaway winners in the team scoring tallying 39 points behind race winner Bader and 3 more top 10 finishers under 19 minutes in Anna Cleary (5th, 18:40), Alicia LeNoir (6th, 18:47), and Katherine Hally (7th, 18:59). The more surprising result was Ursuline Academy (2nd, 100 pts) sliding ahead of Tatnall (3rd, 105 pts) into the runner-up position as the top 2 teams in the state for years has been interchangeable between either Padua or Tatnall, but now Ursuline finds themselves rising into the discussion.